Bioderma Hydrabio H2o Micelle Solution | Oskia Renaissance Cleansing Gel | First Aid Beauty Facial Radiance Pads | Caudalie Beauty Elixir | Indeed Labs Hydraluron | Kate Somerville Goat Milk Cream. I feel like I have put together a really good skin care routine that I love and that my skin loves. I've reintroduced Hydraluron into my routine after going a year without it and I still can't believe it took me so long to repurchase. I'm still using The Body Shop Camomile Cleansing Butter but I took the plunge and bought the Oskia Renaissance Cleansing Gel as I wanted a cleanser that is nicer on the skin. TBS cleanser is amazing at removing make-up and it does a great job at cleansing the skin but it didn't always make my skin feel nice afterwards. I also went a month or so without using the FAB Radiance Pads and I really missed them. I had them in my room while I was taking photos and writing the FAB brand overview post and just forgot to take them back up into my bathroom. I'm still only using them once or twice a week as more of a treatment rather than a daily toner but I'm still noticing a big difference in the appearance of my skin. What's been your star skin care product this month? I want to try the radance pads, they sound great! 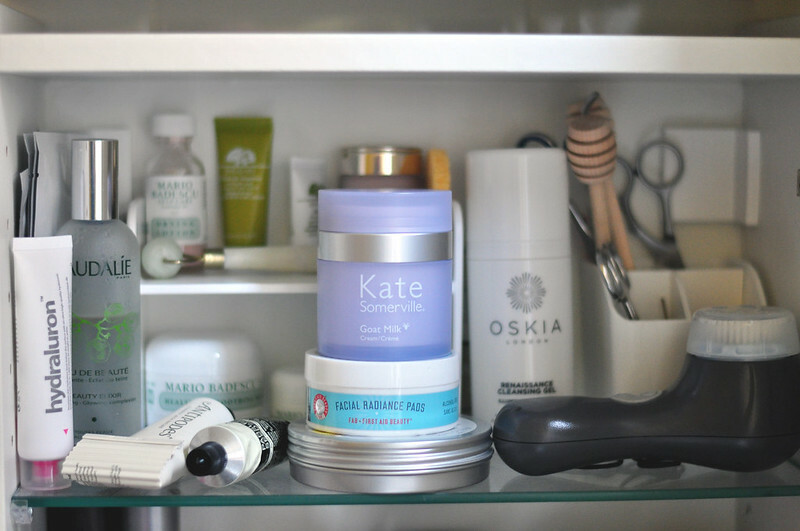 I have 2 things that I'm really loving right now and one is TBS camomile cleansing butter, I've just grabbed another two tins so I don't run out and I'm also loving the Nip Fab glycolic fix toner pads.